I must say that when Shimon Peres ran for president of Israel, I was skeptical, considering how bad of a prime minister he had been, how wily of a politician he had bern. I have been pleasantly surprised by how effective and good of a president Peres has turned out to be. Here is the UN economic forum that took place yesterday regarding the crisis in Gaza. Peres defnded Israel's honor against the attacks by the Turkish PM Erdogan, and the others. Peres gave a brilliant response. Erdogan got upset and stormed out. If you want to just watch the speech of Peres, head out to the area around 40 minutes into the video. Is Oren Zarif a charlatan or the real thing? I have no idea, but he definitely provides for interesting reading! Oren Zarif if an energy healer. He uses some sort of psychokinesis via the subconscious level, whatever the heck that means. He has made a name for himself in Israel, and gets himself a lot of publicity, and takes out big ads in all the popular newspapers and magazines. Two stories came out this week with Oren Zarif. The first case with Zarif: Yitzchak Teshuva's company discovered natural gas off the coast of Haifa in recent weeks. This find was a windfall. Especially for Teshuva who's business has been going through tough times recently. This find is big. Oren Zarif has threatened to sue Teshuva, unless Teshuva pays him 17.5 million dollars. What for? He has invested great energy and effort in directing positive influences to Teshuva's success for many years and specifically to this find. Zarif says he should really be charging Teshuva upwards of $70 million, but he feels very connected to Teshuva. If he has been directing his energies to Teshuva's success, unsolicited, for so long, why was Teshuva havign a bad couple of years in business recently? Zarif says he took some time off from Teshuva's needs because he was "too busy with other things" - as soon as he took that time off from Teshuva, Teshuva's business started to fail. Now he has seen teshuva's business going bad, so he decided he had to get back to teshuva's needs and direct his efforts for teshuva again, and lo and behold Teshuva right away discovered the natural gas. Teshuva claims to not know Zarif, to never have met him and not know what Zarif wants from him other than to take advantage of him. The second case with Zarif: Zarif sent a letter to the Ministry of Infrastructure offering his services to help fill the Kineret with rain water, in just one months time, to overflowing levels - he offers to fill it to 2 meters above the red line. His only condition is that they stop all weather broadcasts for the period of the month in which he will be doing his work. He published the letter he sent on his blog..
Now, I have no problem believing in energy healing and all that stuff. There are people who know how to do that stuff, and maybe Zarif is one of them with special abilities in that field. But after stories like this, I just have to wonder - is he a charlatan or for real? Let's say he sues Teshuva - how is he going to prove it was his energy work that made Teshuva successful? How is he even going to prove he did anything - whether it worked or not, aside from the fact that he did it unsolicited? How the heck did the United Nations come up with the number 613 ($613 million) in their appeal for the people of Gaza? Coincidence? What could it mean? SCOOP!! How the plane was brought down on the Hudson! It has been established that a flock of birds brought down the plane in the Hudson River … here is a snapshot of the birds. Aren't yeshiva boys supposed to be learning, and not working? "BeChadrei Haredim" news desk found out about two yeshiva boys who thought of some witty slogans appropriate for Tzipi Livni's campaign. They sent them, with a phone number, to Eyal Arad - her publicity manager. Arad liked the slogans and called the boys to work for him. They agreed and are now working for the Tzipi Livni campaign. Arad said that his method is finding unknown talent and getting it to work for him. The boys said that some of their slogans are already in use on signs and in the broadcasts of Kadima. Very nice, but aren't they supposed to be in yeshiva learning? isn't that why they get their army service deferred? They said Arad pays well, so they are not doing this as volunteers... True, it did not say what type of yeshiva boys, but from the media source it ended up in, it is highly likely that these are haredi yeshiva boys. I'm hiring these guys for my next simcha!! 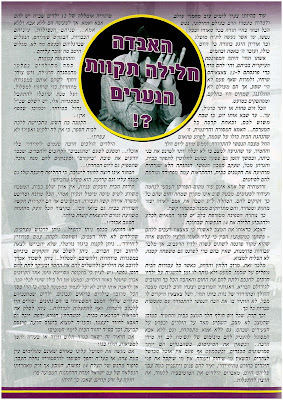 Judge Rivlin was petitioned to disallow the ad of the Green Leaf party, in which Gil Kopatch is depicted sitting on David Ben-Gurion's grave smoking a joint. Rivlin rejected the petition, claiming the reason quoted above. The other night I happened to see some of the political advertisements for the upcoming elections. Here in Israel you don't just buy ads on TV and run them when you want based on how many ads you can afford. here, they have a certain time slot designated for the ads. the amount of time each party gets to broadcast their ads within that time slot is based on money and size of party. So a big party will get more time and a small party will get just a small amount of time. But you can only advertise, on TV and radio, within the designated slot of time. You can't just run an add at any point during the day. So I was watching some of the ads. Most were boring presenting nothing new, some tried to frighten you to vote for them, some I could not understand because they were too vague and ambiguous, and some were humorous. The truth is that the small parties usually present the most entertaining ads, as that is how they try to attract the viewers interest and attention. One of the more unusual ones was from a party called "Holocaust Survivors with Green Leaf". This is not to be confused with the "Green leaf" party (of the now famous Ben-Gurion and the joint ad). It seems there was a split, and Green Leaf people left, joined up with some survivors, and formed a new party called "Holocaust Survivors with Green Leaf". "Green Leaf" is running separately. Anyways, the ad depicted holocaust survivors in various settings in daily life talking about how they need assistance, I guess referring to financial benefits from the government, though they did not say how they plan to help holocaust survivors. They also flashed a lot of images of arms with the number tattoos. I did not notice any connection to marijuana and holocaust survivors, except in the name of the party, and when they mentioned legalizing it. Unless they are vaguely saying that holocaust survivors want to smoke marijuana. or maybe they are saying survivors need it for medical reasons so we should legalize it. I am not really sure. That ad, and that hybrid of a party between two groups that don't seem to naturally fit together, definitely left me scratching my head. This music video is just too great to not post! Personally, I have issues with Rav Aviner, and would not normally quote him... But this is something I generally agree with him on, and he explains it very nicely, so I offer this to you. Rav Aviner has a series of halachic decisions he videos for the website Maale. In a recent question, the petitioner asked who the rabbonim would tell him to vote for. Rav Aviner's answer is that you have to think and decide for yourself. the rabbonim don't know any better than anybody else. Every person is considered a dayan of sorts - he has to weigh his considerations and vote for whom he thinks is the right party. A dayan has to voice his opinion, and not change it because someone told him otherwise. To see the whole video of the psak (just a few minutes), click here.. Remember the Burqa Lady? In the Hebrew media known as "Eishet ha'Taliban"? She has been in the court system for a long time, and there has been very little info on the progress of her case. 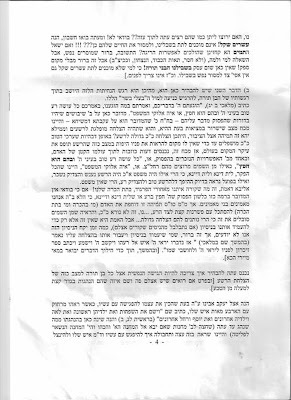 From the letters below, from the Tzedaka fund opened on her behalf, you can see just how easy it is to get signatures from the gedolim for these things. Either they are forged, which I doubt (but could be), or he just told them he is ocllecting for a woman who can't support her family, with a sob story attached, and did not say who she is, and they simply signed on it. Everywhere you look, if you are in Israel, you see a politician staring at you, sometimes with a finger pointing at you menacingly. That is what happens leading up to elections. As they say, "You asked for it, you got it"... Here is the full sicha. All 8 pages. Enjoy. If you have not yet had enough of the Rachel Imeinu story, this post is for you. If you have had enough of it, this post is still for you. I really was not going to write about it anymore, after my last post on the subject. I just could not help it when I saw this. Rav Elya Weintraub, a baal mussar and mekubal in Yerushalayim, gave a sicha on how the yeshiva bachurim should be looking at the recent events. He spoke about a number of things, but concentrated mostly on two aspects - The "Adopt a Soldier" program, in which people in the haredi community would get the name of a soldier and daven and do mitzvos specifically for his merit, and the Rachel Imeinu story. I am going to begin with the Adopt a Soldier issue. Rav Weintraub said "we have never seen anything like this before, in any of the previous wars, by our rabbonim. This is treif! .... Somebody who is tamim (simple? naive? innocent?) will respond saying what is wrong with it? They are giving up their lives for us, so why not? what is wrong with this?... The fact that every Monday and Thursday people can sell things to the public, things that our anscestors never did, and it can become so easily accepted so quickly indicates a lack of stability and a damaged haskafa. only somebody who is not settled in his hashkafa will can you put into his head whatever you want. But what is wrong with it? .... Davening for a salvation is what we need to do... 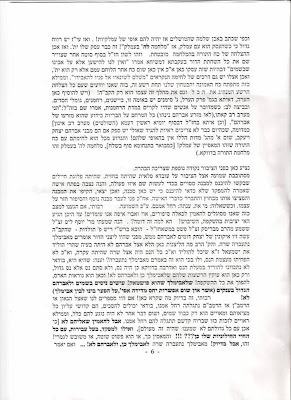 The problem is with the approach - that the yeshiva bochurim say "they are moser nefesh for us, so this is what we do for them" To make a partnership? To act as if there is a connection between our camp and the hiloni camp? That is treif! This type of a partnership means the haredi looks as if what he is doing is worth less than what the hiloni soldier is doing. And this denegrates the Torah. You can daven for their salvation - they are tinok she'nishba and not evil, but to make a partnership? This is what is treif about Adopt a Soldier. 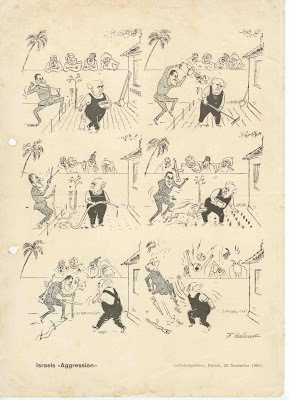 "There are rumors spreading about a story in which the soldiers were going into a house... If we have gotten to the point that we believe these types of stories, where is our stability in hashkafa? ... If they would tell us that Rachel Imeinu appeared to the Rambam or the Ramban, we could definitely accept that. Their whole lives were for increasing the glory of Hashem, and nothing else. They were worthy for such divine inspiration and could have seen Rachel imeinu appear before them. But that she never appeared to them (as we don't have any such stories recounted) , but to the officer with all his sins and his secular life, to him she does appear??!! Whoever believes this, is either an idiot or completely messed up! But they were saved, so why not believe there was a hashgacha pratis to save them? The answer is that is there no other way for Hashem to save them other than to send Rachel Imeinu? ... It could be there was a salvation, but it was definitely not Rachel Imeinu appearing to a secular officer with all his sins. At best it would have been a demon (a shaid in disguise). We are not saying it happened or did not happened. 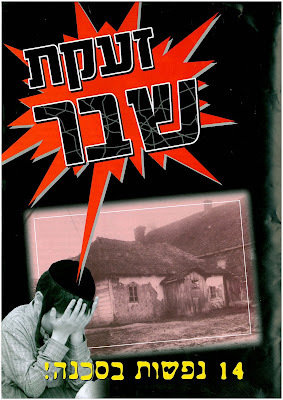 We are coming to say that Rachel Imeinu would never appear like that to a sinning secular officer...."
The Mishpacha newspaper reported this past week on a discussion between someone creating a cellphone jammer of sorts for yeshivas and shuls to install and Rav Steinman. Rav Steinman, and other rabbonim, supported the concept of the jammer this person is trying to introduce. Rav Steinman said, "It is a chilul Hashem when people answer their cellphones in the beis medrash during learning or davening. Hashem is present when a person is learning, and it is as if you are telling Hashem - wait for me until I finish [with the phone call]." Tzipi Livni's brother, Eli Livni, is campaigning on behalf of the Likud. He says Tzipi is not worthy of being Prime Minister. What I find to be amazing is when he says why he is campaigning against her - he says, standing outside of Metzudat Ze'ev - the headquarters of the Likud - that this is his home, where he grew up, lived his whole life, it is part of his life, etc. The Livni family was of the founding families of the Likud, and it was a shock when Tzipi abandoned the Likud for Kadima. So it is no surprise that other members of her family are stil Likudniks. But I find it amazing because he is opposing her and is willing to say that the Likud and Metzudat Ze'ev are part of him - but his sister is not? Didn't he grow up with her too? Perhaps they were not close, but it seems funny that he talks about the Likud like that but not his own sister.... Not just not talk about his sister like that, but he strongly opposes her. And who the heck would not want their own sister to be prime minister, even if it is from a different party??? Very strange. "Once it was common to say that a Likudnik is somebody who walks around with a kipa in his pocket. Here we have a group of Likudniks that walk with their kipas on their heads. We should be proud of them. And it is not coincidental, as the differences between the National Religious camp and between the Likud are disappearing." In the campaign of Aleh Yarok - the Green Leaf party (those guys who want to legalize marijuana) - they have put out a campaign ad that is the hands down winner of funniest campaign ad so far. Gil Kopatch sitting by the grave of David Ben-Gurion smoking a joint and talking defense. After offering Ben-Gurion a pull on his joint, he says most of the marijuana is grown and supplied by Hamas. So we are supporting Hamas by buying joints. They take the money and buy kassam rockets which they shoot at us. But if we grow it here, we will no longer support Hamas. What will they do with all the leftover hashish? smoke it. Then they will be calm, and a good Arab is a calm Arab. That is a security policy I can work with! What is even better is the response to the ad. Ben-Gurion's grandson was offended. He says Ben-Gurion is a national symbol and treating him like this, offering him a joint, sitting on his grave smoking, is a desecration. Yariv Benn Eliezer, the grandson, says, "This is a proof that people who smoke marijuana are messing up their brains." Why is this idiotic? Because the train line has already been closed for more than a week, and they just woke up now. I find it amazing, and baffling, how the more the right-wing grows, the more the Likud grows because of the people's rejection of the left's way and Kadima's lack of a way, Netanyahu does everything he can to push away the Eretz Yisrael loyalist. Today he talks about how there will be no new settlements. Is he looking to chase away all his right-wing voters? Sometimes I just don't understand Bibi. Right now he is being supported as the lesser of the evils, but it is such a shame, as he has such potential if he would choose to lead those who want to follow him, rather than replace them with people who will never follow him. DoubleTapper is back from his reserve duty in Gaza. He passes on a little military secret.....and has got some great pictures....check out his various posts.. I find it amazing that an investigation that has been going on for about 7-8 years against Avigdor Lieberman can be pretty dead in the water, and then suddenly jump to life. Nothing happens in the open investigation for years. Suddenly, two-three weeks before elections, with Lieberman's star seemingly on the rise, and all of the sudden the police detains 7 of his confidantes as part of the ongoing investigation. What is the most amazing is how blatant and clear the bias against him is. They don't even try to hide it. On Friday I was in the car and heard on the radio about an argument between Yoel Hasson of Kadima and Gideon Sa'ar of the Likud. Hasson was of the opinion that people should vote Kadima because Kadima will work better with the new American administration. Bringing Netanyahu to power will cause a rift between Israel and the US. Sa'ar, obviously felt otherwise. Personally I think that is the stupidest reason to choose for whom to vote. Who you think the US president likes better. That is the style of voting that is encouraged in new countries supported by the US, countries that the US encouraged to recently become democracies, banana republics in Africa or elsewhere that are looking to get something from the US. Usually in these countries the option is either the US backed candidate or a dictator who will probably mass murder all his opponents and throw their bodies into mass graves in the forest. But Israel is a country that has been around for a while. It is a democracy, and has been since its inception. Israel relies on US support, but no one candidate has it more than the other, because the support is for Israel, not a specific person. One candidate is not bringing in democracy whith the other promising the murder his opponents. Both are pretty similar with slight differences in policy. You should choose which party you vote for based on who you think will better serve Israel's interests, as you see them. If your only concern is who you think Barack Obama will like better, then you are not concerned about Israel's interests. You are concerned about the interests of the United States. Vote for whomever you think will best serve Israel's interests. Whether that party is Labor, Kadima or Likud. Whether it is Ichud Leumi, Yisrael Beiteinu, Meretz, UTJ, Shas, or the Green Leaf party. But vote for Israel's interests, not those of any other country. Just how powerful and influential is Rahm Emanuel? The NY Times thinks he is extremely powerful, with Barack Obama's complete confidence. The NY Times even calls him "arguably the second most powerful man in the country and, just a few days into his tenure, already one of the highest-profile chiefs of staff in recent memory." Jameel posted a recent interview with Captain David Shapira - the officer who shot the terrorist during the terror attack on the Merkaz HaRav Yeshiva... It is well worth your time to watch it. In the continuing saga of the debate whether the Rachel Imeinu really happened or not, Rav Ovadia Yosef has now weighed in during his weekly shiur. Rav Ovadia says it happend and it was Rachel Imeinu. 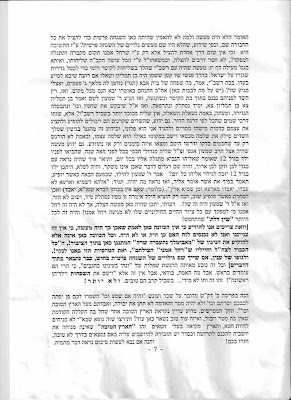 The money quote is Rav Ovadia saying, "They all called here there saying she should go save her sons. How Hashem saves His children! He sends angels to save The Jewish people! How we have to praise Hashem!" Thank to JoeSettler, I was able to compare my views, generally, with those of the various parties and see with which party I am most compatible. This cartoon is extremely accurate. If you look at the tag on the bottom, you will see it is from 1956. Looks like nothing changes. Is Kadima starting to fall apart? The former mayor of Rishon LeTzion, Director of the Kadima Council Meier Nitzan has announced he is not going to vote Kadima, but Likud. Nitzan says that Livni's inexperience will not allow him to vote Kadima. Netanyahu has a tremendous amount of experience in various levels, and even Ehud Barak has great experience. But Livni has no relevant experience for the prime minister position. Her foreign ministry experience is too light to compare her to them. Aside from Nitzan, there are reports of Kadima activists in many other places who are abandoning Kadima. Some are switching to vote for other parties, and some are saying they will still vote Kadima, but not work for them actively any longer. They do not like the way Tzippi Livni runs the party, the way Kadima is involved with its people, and are beginning to jump ship. It is about time they realized there is nothing but opportunism behind the Kadima party. The papers today reported that Kadima and Tzippi Livni have recruited the services of Barack Obama's aids in their campaign against Bibi. What they fail to understand is that Obama's aids and campaign people were all relatively inexperienced people when Obama's campaign began. He was not using the "top PR firm" in the US, or anything like that. It turns out they were brilliant people anyway, but the main thing is that the candidate himself knew how to sell himself. Obama is articulate, polished, charismatic, exciting, and knows how to talk to the people and connect with them. When you have a candidate like that, these guys working for him were able to help sell him to the public, because he was able to sell himself. Livni on the other hand, is not charismatic, is considered a snob and looks down on the regular people, is not exciting, never has anything particularly interesting to say, does not engender feelings hope or change or anything she tries to preach, is not particularly articulate or polished (though she is not bad in that sense). And Livni already uses what is considered the top PR firm in Israel. The firm that sold Sharon to the left wing public. 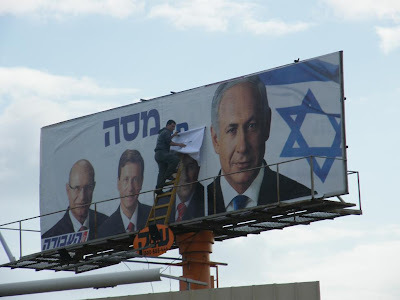 the firm that got everyone to ignore Olmert and vote Kadima as if Sharon was still running it. The firm that has never, and I mean never, lost an election campaign for their candidate. And they have not been able to sell Tzippi Livni to the Israeli public. So good luck with Obama's aids, Livni. It is not the aids failing to make your case. It is you. Recently some right wing activists, along with Baruch Marzel and Itamar Be-Gvir, wanted to have a march by Umm El-Fahm. The police said no because it is too dangerous and provocative. They appealed to the Supreme Court who decided they have the right to hold the march. At the last minute the police canceled the march claiming security problems. Since then, the police have pushed off the requests a number of times claiming security problems, then there was the Gaza war which made such a delay understandable.. The police since then have again delayed holding the march. The activists had enough and appealed again to the courts claiming the police are just using delaying tactics and have no intention of following through with the courts decision. It seems the judge has had enough, because he did something that is very out of charachter for the Israeli judicial system. He actually backed up the right wing activists, and called out the behavior of the police. Judge Edmund Levy said, "If a group would today request permission to hold a rally for peace, with Israeli flags and PLO flags, and there would be threats from this party or that party, would the police still say to wait until after the elections? It is clear that no matter what date you choose, there will be threats and the whole process will repeat itself. We are talking about a small rally - it is incomprehensible that Israel with a police force and an army can't secure such a rally." The judge insisted they set a timeframe for a date for holding the rally (no later than..), as soon as possible without delays, and said this cannot remain unresolved. Maybe some won't find this story as amazing as me, but generally the courts are knocking down the right wing activists requests, and supporting the police. This is totally against the common flow. Very frustrating. I had to go to the doctor this morning for something. My appointment was at 10am. I get there a little before the appointment and see he has a full list of appointments. The door to the room is closed. The rule in the clinic is that if a doctors door is closed, it means he has a patient inside. No knocking, no going in. Nothing. It is starting to take a long time, and nobody is coming out of the room. I am starting to wonder, but I think that maybe there is a long procedure going on in there. So I wait. Eventually, I have been there half an hour, still nobody has opened the door to go in or out, which is unusual for such a long amount of time. Also, the amount of time for two appointments has already passed, which is a ridiculously long amount of time for one person to be in there. So I go to the secretary and ask what the story is. She says the door is closed that means someone is in there. I tell her I have been waiting half an hour, the door has been closed the whole time, and two appointments have passed. She says she'll call the room and check. Turns out he had nobody in there and was just doing nothing, checking the news on the internet, waiting for his next patient. Why'd he have the door closed? The previous patient must have closed it when he left and he did not notice. My uncle just went in for his stem cell transplant. 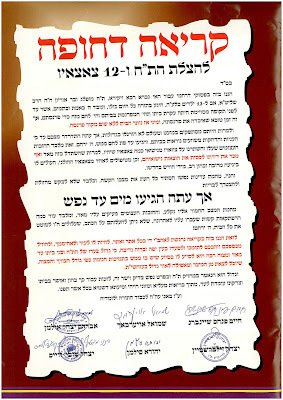 Please daven for Dov Meier ben Alta Chaya. Last week a story was going around about soldiers who saw a woman in Gaza in different places and she warned them not to go into certain buildings. She identified herself as Rachel. People were skeptical about the story. Here is a link where you can watch Rav Shmuel Eliyahu, in a shiur at Machon Meir, talking about the recent story of Mamme Rachel in Gaza. He says he asked his father, Rav Mordechai Eliyahu, if the story is true and can be believed. his father responded, in these words precisely (I am translating into English), "I said to her - Rachel. There is a war. Do not stop yourself from crying. Go before Hashem and daven for the soldiers who are giving themselves up for the Jewish nation, that they should hit and not be hit." Rav Shmuel said to his father, "So you should know that she went there." Rav Mordechai Eliyahu responded, "Did she say I sent her?" Watch the video clip, in Hebrew. The specific part of the clip begins at about 2:55 or so. pay in money or Torah learning. Thank you. i love the concept of paying 'in Torah learning'. I wonder what would happen if this became an acceptable 'currency' in Israel. Would supermarkets accept mishnayot in return for a loaf of bread? How many blat of gemara for a chicken? Would there need to be different levels of learning depending on whether you are a student of the Mir or another institution?? Would you be able to pay your arnona bill in hours learned? The possibilities are endless! Concern has arisen that the recent attack against Hamas will be used as a springboard for accelerated peace talks, along with more disengagement style pullbacks from settlements in the Shomron. To counter this, the Shomron Settlers Council has begun a campaign to raise awareness of the importance of the Shomron. The first item they released is the map below. 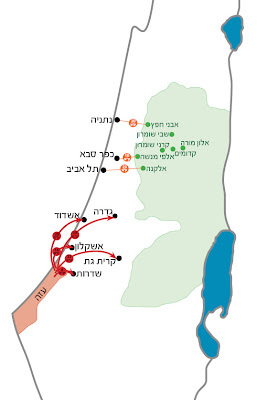 The map is meant to show how important the Shomron is to the security of Israel, by showing the location of the Jewish settlements and how those settlements protect the central part of the country from rocket attacks that would take place if the SHomron is transferred to the PA. It compares it to the Gaza Strip. Yahoo Answers is a very useful feature of Yahoo in which you can find answers and explanations to practically any problem you might encounter. phrases, that is. It is not being printed in Hebrew. The NY Times, writing about the Gaza War and Israel's gains, writes a phrase commonly heard in Israel, especially regarding the recent war. That is, "Baal HaBayit Hishtagei'a" - the owner has gone crazy. Read the article - the phrase has a certain poignancy lost in translation. By "the owner going crazy", it means the renter will no longer dare test the patience of the owner. he will be too afraid. Israel supposedly used disproportionate attacks against Hamas as a way of saying don't test us any longer. We have gone crazy, and don't you dare test us again. Today is the last day of the Bush administration. That also means it is the last day in which President Bush has the ability to grant clemency to Jonathan Pollard. I don't know what he has decided to do, and if the barrage of phone calls, emails and faxes on Pollards behalf have had any influence on Bush's decision - I guess we will find out soon enough. The only thing left to do is to pray that today will be Pollard's last day in prison and tomorrow he will be free. "The heart of kings is in the hands of Hashem". On the radio they were talking to soldiers about the cease fire and their accomplishments in Gaza. The chickens in southern Israel are traumatized from the rocket attacks. Hamas made the right move announcing a cease fire from their side as well. Especially after they took advantage of a few hours to shoot rockets at us with practically no concern of our responding. By announcing cease fire, the force us to leave Gaza, making any future action more difficult. I think they will probably keep quiet this week. By Sunday we will pull out, as per the announcements. By Tuesday there will be more rocket attacks on Israel. And then it will be starting all over from scratch, which Olmert might not want to do. So, he will run limited, and pointless, operations against Hamas. Hamas will use this as if they chased Israel out, and then will attack us as if nothing changed and Israel will have a hard time responding. This is a cease fire we announced too early. Now that the cease fire is in effect, we can all get back to politicking. Ehud Olmert is the first, even though he is not even running for anything in the current campaign, because of his legal woes. Olmert praised Bibi Netanyahu for his activity in public relations during the war on behalf of Israel, saying he acted responsibly, and above political considerations. Olmert then went on to threaten the right wing parties (implied) by saying that anybody who dares to detract from the accomplishments of the war - anybody from israeli politics - who tells Hamas that they were the victors, he will oppose them with all his strength. It is clear from the timing, being that they discovered the gas reserves on a Sunday, that they were searching in a yeshiva. Those post-shabbos chulent gas reserves should really give our economy a boost. And not just save us money from buying gas from other countries. but now we can export our great natural gas reserves! Hamas took advantage of a quiet morning to shoot off a few rockets into Israel. It was not unexpected. they need to make it look like we did not decimate them, and even that they chased us out of Gaza and they still are fighting us off. I don't even have a problem with giving them an amnesty on this morning's rockets. Give them the day to shoot rockets, and let the world see that we really have committed to a ceasefire. Then if they shoot any more rockets tonight or tomorrow, we hit them back hard. If they continue shooting at us, we cannot show restraint like we showed until this operation. Now that we have hit them, we have to hit them hard regularly for any rocket attacks on us. I am not against the cease fire announcement. The IDF probably accomplished most of what it possibly could already. Staying in Gaza now would make our soldiers sitting ducks with very little accomplishment to justify the deaths that would likely come from it. An additional benefit is that the world pressure on Israel has been increasing, and now we can take the upper hand and show that it is all up to Hamas. If they don't shoot, they will have quiet. The only missing part is the fact that Gilad Shalit was left behind. That means his fate is going to be determined in negotiations with Hamas, rather than as part of a cease fire arrangement or a military op (which would have happened already last week if it was going to at all, probably). Negotiations with Hamas has already proven to be futile, so that leaves little hope for him anytime in the near future. So, let's see what happens! Now the parties can get back to campaigning for elections and making political capital out of the war! RBS resident, Rabbi Zev Roness, serves as a Military Rabbi. This story about him appeared in the Torah Mitzion newsletter. 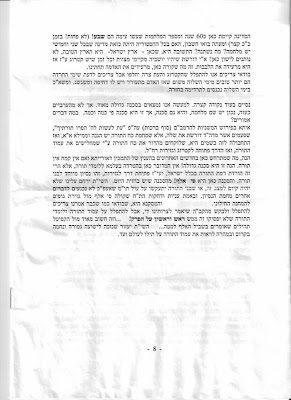 Written by Avi Roness, as told to him by his brother Zev Roness, printed with permission of the Roness family. Zev served as a shaliach at the Memphis kollel in one of its first years. This evening, my brother [Zev], who serves as a career military rabbi, told me the following story, which took place 2 Shabbatot ago, when the IDF entered Gaza—by foot. He was one of three rabbis who spent Shabbat on a base not too far away from the border, together with a few hundred soldiers who were preparing for the ground incursion. After spending the day delivering shiurim and motivational speeches, the rabbis wondered if they should perhaps travel with the soldiers from the base to the staging location, in order to boost the soldiers' morale. They deliberated and finally decided – with some hesitation – to go along with the soldiers. Hoping to arrange a minchah prayer service, the rabbis took a Sefer Torah with them. When it was time to get off the bus, my brother asked someone to pass the Torah to him (in order to mitigate the halachic issue of bringing something into a karmelit). However, when he got off the bus, the Torah stayed behind. He looked back into the bus to see what the delay is and saw that the soldiers were passing the Torah from hand to hand –each soldier took the opportunity to embrace it tightly. Afterwards, a group of soldiers approached two of the rabbis. (The bearded rabbis stood out: one was holding the Sefer Torah, and the other was wearing his talit!) The soldiers asked the rabbis for a blessing. Since giving blessings isn't included in a military rabbi's standard job description, my brother told the soldiers that he would recite the blessing he uses for his sons on Leil Shabbat. To his amazement, more and more soldiers began approaching him. (According to him, most of them were traditional – i.e. not outwardly observant.) Soon, so many soldiers had amassed that the rabbis could no longer give personal blessings. Instead, they spread out a talit – as is customary on Simchat Torah – over the crowd's heads and blessed everyone in unison. With great emotion, several soldiers exclaimed that the rabbis' presence gave them strength and boosted their spirits. One soldier even added that the rabbis' blessing was more significant and meaningful for him than all the training sessions he had heard in the period leading up to the operation. As the sun began to set, the long infantry columns set out towards the Strip. Meanwhile, the rabbis stood near the crossing with the Sefer Torah in their hands and called out words of encouragement and blessing to the soldiers. ("May Hashem be with you," "may Hashem bless you," and other phrases inspired by the Rambam's writings on fear during a battle.) The soldiers, in turn, kissed the Sefer Torah as they marched along. As a footnote, we can tell that the same story—with the same strength and more, was later related by the soldiers themselves—about the special feeling they experienced before entering the battle zone. On a related issue, there has been a huge demand from hundreds of [non-religious] soldiers, to have the military rabbis obtain Tzitzit for them— which are usually only produced [in army colors] in small numbers, for the religious soldiers. The demand was so much greater than the army was able to supply, that the army rabbis had to launch a campaign outside of the army, with assistance from one of the religious radio stations. Dozens mobilized: many people donated Tzitzit, others donated money and still others spent many hours driving around the country to collect the donations and get them down to where the soldiers were located. 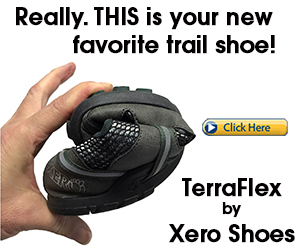 Within days thousands of pairs were obtained and handed out to the soldiers in the field. One soldier, a Golani combat soldier, commented “this is more effective than our protective vests!”. One of the rabbis mentioned that on that Erev Shabbat, before entering the ground phase, it was clear that the small synagogue in the base would not house the participants: The minyan moved to daven at the soccer field, until virtually the entire Golani brigade was present, singing, answering Kaddish and davening Kabbalat Shabbat. “If not for the time, the place, and the color of the uniform,” he told, “it could have been Tfillat Ne’ila at any one of the large Yeshivas”. 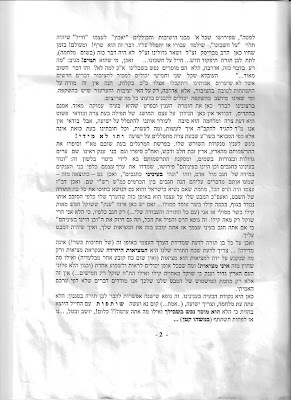 Before entering the Strip on Motzai Shabbat, one of the top officers read out the special prayer before entering battle, and the hundreds of soldiers answered “Ana HaShem Hoshi’ya Na…”, after which the Shofar was blown: mamash like when Bnei Yisrael entered the Land. 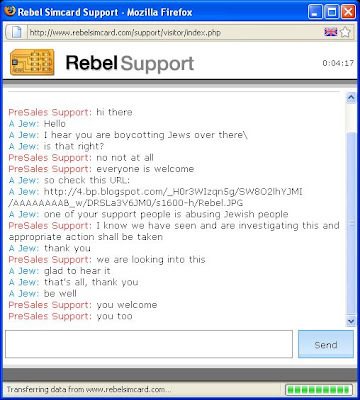 As an update to the post on the Rebel Sim support person who refused service to someone because he is a Jew, a reader contacted Rebel Support and the following is his conversation. The paper ran a story today of a bride from Kiryat Gat filing a complaint with the police... 12 years ago she went to her friends wedding, and gave her what she says was a considerable gift of 200 NIS at the time. Now she has become engaged to be married and invited her friend to her wedding. Her friend informed her she would not coming to the wedding. The bride demanded that she at least give her an equal gift to the gift she gave her 12 years prior. the friend (is she still one? - don't know) refused. The bride went to the police to file a complaint. The police tried to convince her there is nothing they can do about it. Not giving a gift is not a criminal offense. She insisted on filing the complaint, so they allowed her to. As the police said, "By law we have to accept any complaint from any citizen. If someone wakes up int he morning and wants to file a complaint that he did not see the moon at night, we have to accept it. So we accepted her complaint. However, the file will be closed due to "lack of guilt"." I thought this story would be a nice light break from the heavy war news. I hope you enjoyed it! Rebel SIM is a product that allows you to use an iPhone with any SIM- they are a UK based company. The morning of Shabbos Chanuka (Saturday, December 27th) as we were preparing to begin one of Randi's sumptuous Shabbos meals, I was in the kitchen when I heard Randi say that she thought she felt an earthquake. Our whole family was there along with a few additional guests. My first reaction was, "darn I missed another one". (There have been two other minor earthquakes since we've been here. I slept through one and just didn't feel the other.) Others felt it also. Some were saying that they still felt some tremors. Yet, still I wasn't feeling anything. I was getting very annoyed. Not that I want there to be an earthquake but if there is one and everyone else was feeling it I wanted to as well. We then all noticed that the vertical blinds in the dining room were swaying back and forth. At least I had visual evidence that something was happening. We went outside and way off to the Southwest we heard a series of dull booms. We wouldn't find out until after Shabbos, when we could get to the internet, that what we were hearing was the beginning of operation Cast Lead. It was a bit disconcerting to realize that we were close enough to Gaza to be able to hear some of the bombing. From the initial reports it appeared that this was going to be a repeat of the Lebanon war; massive air strikes, but then what? A chance for Hamas to acquire more and longer range missiles as Hezbollah has done? In short order we saw that, thankfully, our military and political leaders had learned something from their mistakes in Lebanon. The outcome is far from clear, but at least we are going in a direction that may make things better for all concerned in the long run. The mental gymnastics we go through to settle our cognitive dissonance are quite amazing. It became apparent early on that the main weapons in Hamas's arsenal were Kassam rockets and the more sophisticated Grad missiles. (Courtesy of Iran.) Kassams have a 7km range and the Grads 40km. We pulled out our trusty map and figured out that Beit Shemesh is about 45km from Northeastern Gaza. Whew, out of range! Life could go on as normal. Can you imagine, those of you living in HP/Edison, if the Pennsylvanians were firing missiles that could "only" reach Piscataway! Be that as it may, this mental ability is one of the great gifts G-d has bestowed upon us mortals and we might as well take advantage of it. It's almost comical in that this range limit is so hard and fast that, just as in the Lebanon war, organizations in Beit Shemesh are actually providing support and respite for those living "in range". But the reality is that those people are dealing with sirens and rockets on a daily basis and, so far at least, we're not. Unfortunately, Raanan is not so lucky. The Hesdar Yeshiva he attends, Kerem B'Yavne (KBY), is, as the name implies, in Yavne. Yavne is "in range". It's just slightly East of Ashdod. So pretty much from the first week, Raanan has been experiencing sirens and the occasional sound of rocket impacts. Don't I sound very calm writing about my son being in the line of fire? I'm not really sure what mental games are at play here, but they seem to be working. The study hall at KBY was built by the British before 1948 and is "reinforced" to withstand, I don't know, maybe cannonballs, but the idea that it's "reinforced" gives us some piece of mind. Of course the sirens also go off when he's in his dorm room. In that case he just hides under his "reinforced" bed. Hey, there are TWO blankets up there OK! At one point I did ask him if he wanted to come home, in a classically shrewd teenage response he retorted, "Do you want me to want to come home?" He does come home pretty much every Shabbos, so at least then he's in the safety of Beit Shemesh. Actually, he spent the Shabbos after Chanuka at his old high school yeshiva on Moshav Mattisyahu. Earlier that week one of my work colleagues, a guy from Ireland, was IM'ing me about the situation. I mentioned where Raanan was and what he was dealing with during the week and, get this, that I was happy he'd be spending Shabbos in the relative safety of the West Bank that weekend! It's all relative. So many parents are sleeplessly coping with their boys actually being in Gaza. Ben, the son of close friends of ours here in Beit Shemesh, a boy who's diapers we changed (though not recently), got "the call" that first Shabbos afternoon. He had to report to his base immediately He's some sort of communications officer, so in our minds' magic we were able to imagine him working from some subterranean, high tech chamber that looked like an air traffic control room or the command center on "24". We were able to imagine that ... until his mom sent us this video (you can see Ben at 2:14, 3:50, & 4:15 into the video) showing him praying in a house in Gaza. At some point the mental fences do get breached. Then his mom told us that one night his unit was, unknowingly, sleeping in this booby trapped school in Gaza until one of the guys woke up to pee and noticed a fuse wire leading from a detonator in the children's' zoo to a pile of rockets and such in the building. Prayers, lots of prayers. On Wednesday, January 14th, we got the teeniest of inklings of what our brethren in Sderot have been going through for the past 8 years and what the communities in "the South" have been going through for the past several weeks. At approximately 12:50 p.m. I was sitting in class in yeshiva in Jerusalem when we heard a siren. So far, the only times I've heard this siren were on Memorial Day and Holocaust Remembrance Day. At those times the siren cranks up and remains at a high pitch for about a minute. The siren I heard Wednesday was oscillating and I knew from speaking with Raanan that this was the warning sound for incoming rockets. For the first few seconds I felt that tingly, flight or fight, adrenalin rush one gets in any panic situation. One of the guys was yelling, "we have go to the shelter, where's the shelter?" Of course the first thing I did after being frozen (so much for "flight") for a few seconds was to grab my web-enabled cell phone so I could look on my Twitter feed and find out what was really going on. (There are a couple of good feeds on Twitter, an otherwise useless application, that give very timely updates about the war;Muqata and QassamCount.) I guess everyone was doing that or calling someone they knew, as I couldn't get anything on my cell. Meanwhile, the Rebbe, a seasoned Jerusalemite, said, "Let's just finish this Rashi and then we'll see what's going on". That's basically what we did, as pretty instinctively we knew that either it was a false alarm (after all the Grads just can't go that far, right?) or we did this little rapid analysis of "what are the odds of one rocket actually hitting this room in all of Jerusalem?" Then the reality hit me. What I had experienced in those first few seconds, the people of Sderot have been dealing with day in and day out for 8 years! They have felt it thousands of times. Children Meira's age know of no other existence. Their playgrounds have cement "caterpillars" where the children can run for shelter when the sirens wail. The adults can't comfort themselves as I did, hoping that it's only a test or malfunction. They know better. All these years, since we made Aliyah and before, these people, living just a 45 minute drive away, have been going through hell and we just merrily go about our lives. Yes, it's another asset of the mind games we play and helps keep us sane. And sure, we "support" them; buy their baked goods and send stuff, but we have been essentially oblivious to their suffering. We all know that it should never have gotten to this point. The first Kassam, and every one thereafter, should have been met with a forceful response; as Sharon had promised. Naturally, I feel for the dead and wounded children in Gaza, notwithstanding the fact that starting from pre-school they are being brainwashed to hate us, kill us and "martyr" themselves in doing so, but we are now doing what any country would do to protect its citizens. The distortions and lies emanating from the shrill media freaks, liberal airheads, Euro-morons, and UN terror enablers aside, we are doing it with greater care, precision, and sensitivity than any other country on Earth would or has. As just a small example, the IDF has placed over 150,000 phone calls warning individuals in Gaza to get out of harm's way before an attack is launched. And when, instead of fleeing, they have women and children run to the sight of the planned attack it's called off. Who does this? The Russians? If the Russians were undertaking this type of operation there would be thousands of dead civilians. The Arabs? If it were up to any of the Arab countries, there would be virtually nobody left. And Europe, ha, well if it were up to Europe to defend themselves their women would be wearing Burkas and the men praying to Allah 5 times a day. Oops they already are! Ironically, when all is said and done, if we succeed in neutralizing or at least neutering Hamas we'll have actually fought a war of independence for the Palestinians of Gaza. Will they seize this chance or will they take this opportunity to miss yet another opportunity? Who knows? As a bonus gift to the entire world it will also be a major blow to the Iran-inspired axis of evil. So you all stay safe. Fight the fight for us against the other axis of evil, e.g. the NY Times, CNN, BBC, Time, and those nutcasepeaceniks who deserve to get "Darwined" out of existence yet will nevertheless benefit from those of us who actually "get it". Most importantly, pray that G-d protects our soldiers, delivers us safely from this evil and these difficult times, and finally brings peace to us all. If they actually had any big surprise for the Israeli soldiers, they would have no need for the psychological warfare of sending out sms messages to Israeli citizens in Israel. The purpose of the message is simply to demoralize the people, and have them afraid of "what might happen", thus pressuring them to pressure the government to stop the war. Obviously they have nothing behind the sms. The picture I posted yesterday of the bulldozer in Gaza, to my surprise, stared back in my face this morning as I read the metro paper on the train. In addition to posting it here, I also posted it to a Hebrew forum. From there it was picked up by the press and printed in the newspaper. The paper credited the forum as the source of the picture. I don't understand all the politics of how the Chief Rabbinate Rabbinic Council works, but it looks like they came up with a solution. The hospital in Ashkelon has wanted to build a protective barrier. They found old graves with bones, and that prevented them from continuing the work. In what has been described as negligence by the rabbinate, the relevant parties have failed to submit recommended solutions for many months, thus delaying the project of building a defensive protection for the hospital. The religious have gotten considerable bad press over this in recent weeks. Not undeserving perhaps, as the secular media has bandied about the claim that the religious clearly consider the dead more important than the living, with other such claims. After many delays, it looks like the rabbinate finally came up with a solution that they could have recommended long ago, had they taken the time to do so. According to Ynet, last week Rav Metzger signed a psak with his recommendation. Rav Metzger says that because the situation is one of clear danger and is pikuach nefesh, the work can be done. Pikuach nefesh pushes off all other considerations. The consideration of pikuach nefesh, along with the fact that it is questionable if these are even Jewish graves, makes it permissible to continue the necessary work. Yesterday, Rav Amar agreed to Rav Metzger's decision and signed off on the paperwork, thus clearing the way for the work to be continued. My friends brother in law took this picture. It is from a Reserves Battalion connected to the Engineering Corps. This is a giant-tractor battalion called D9. Their job is to go in and clear the path for the incoming troops. 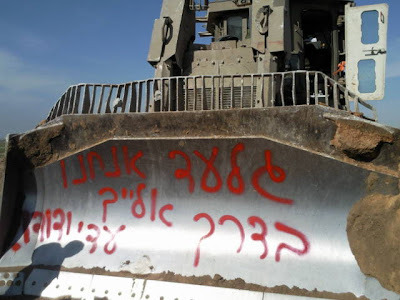 Before this battalion went in yesterday to Gaza to do their work, the soldiers sprayed grafitti across the whole giant front of the bulldozer shovel expressing their strong desire to bring Gilad Shalit home. the message is "Gilad - we are coming to get you!" Sirens blared in Jerusalem, Bet Shemesh and Beitar areas just now. Supposedly it is due to a technical glitch (aka false alarm)... Maybe they were testing the system? I hope that was it. What is especially disturbing is that many families have come from the south to stay in these areas. Many schools have taken in many kids from the south and integrated them, temporarily, into their classrooms. My daughters school has a lot of southerners. Today her school was having an "activity day", bringing a small amusement park of sorts for the girls to enjoy for the day. Sure enough, on their fun day, they get to hear sirens just like back home! 2 weeks ago, probably in light of the Gaza War, there was a stabbing incident in the haredi city of Modiin Ilit. An Arab worker, with a permit, decided he had enough and went on a rampage stabbing 4 people. As a result, the city canceled all permits and said they will not allow entry to any more Palestinian workers. It is too dangerous in the current climate. 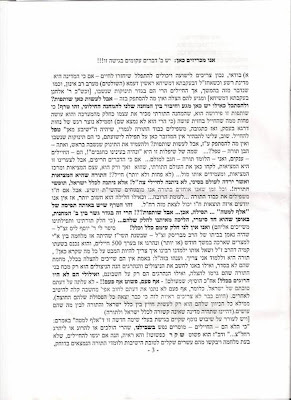 Mishpacha newspaper this past week reported on a conversation held, just days after the stabbing incident, between Rav Steinman and Major General Noam Tivon (and others) who is in charge of security of the region that includes Modiin Ilit. The meeting was due to the decision to not allow any palestinian workers in. The army is nervous about such a decision. Modiin Ilit is surrounded by many Palestinian villages. The thought is that as long as they have work, they are generally ok. If the work is taken from them, they will begin to get desparate, as they have no way of providing for their families. if that happens, the whole area can become a boiling pot waiting to explode, and the army thinks they will see many more such incidents. 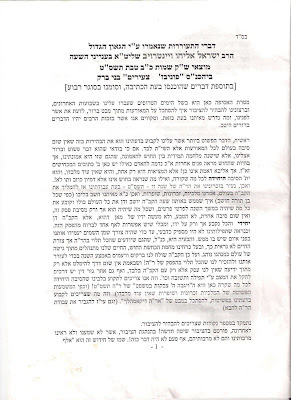 The general set up the meeting, via the mayor of Modiin Ilit, in order to request Rav Steinmans blessing and approval to begin allowing workers back in. After a lengthy discussion weighing the options including the residents fears and concerns, Rav Steinman suggested they let workers in slowly, in stages. First a small number for a few days, and if everything remains quiet, they can let more in, etc. The idea was accepted and they decided to base their approval on age. They would first approve permits for older workers - from age 35 and up. Older workers generally have families and are considered more responsible. They would be less willing to risk themselves to make trouble because they have their families to worry about. The younger ones are usually the ones who make the trouble. The discussion was concluded, the general requested a bracha for the soldiers, and Rav Steinman blessed them with success. Let's hope the decision to let them in does not backfire... In these times, even people who might usually be considered reliable workers are suspect. Tensions are high and Arabs all over, even Israeli Arabs, let alone Palestinian Arabs, are upset and unreliable. I met Rachel today in Noga School, Ramat Bet Shemesh. Rachel is 17 years old, from Beersheba. She and her class were studying in the school library, here in Bet Shemesh, because their school in Beersheba is closed down, due to insufficient bomb-shelters - and far too many direct hits on Beersheba by Hamas missiles. Rachel is one of over a Thousand school children who have relocated from within missile range from Gaza, to Bet Shemesh (located a critical 5km beyond the 40km current missile range). "My father was walking outside to his car, when a "Grad" missile landed 2 metres (6 ft) from him," Rachel explained. "These missiles carry several kilograms of explosives and can destroy whole buildings. And my father escaped without injury. It was absolutely miraculous." A fellow pupil in the same class joins in our conversation. "We had a Grad hit just outside our building," she related. "You can't understand how terrifying it is to live in a quiet city you love, which is now being pounded daily with missiles and missile warning sirens are going every few hours, sending you sprinting to the nearest shelter....you've got, at best, a minute to find safety." "For us to get away from all that, to come to Bet Shemesh, to study quietly and calmly, is like paradise for us," continues Rachel. "I never thought I would be so happy to be able to quietly study for bagrut exams"
Ilana, the girls' teacher, told me how much they appreciate the security here, and also the amazingly warm welcome they have received by the schools and population of Bet Shemesh. "We are so pampered," she said, "with every resource, hot meals, outings, and lots & lots of care - the girls are having such a good time in Bet Shemesh - that perhaps they won't want to go home after the War!" "We all thank the whole Bet Shemesh community, the schools, and in particular Noga school and Lema'an Achai - and *everyone* who has supported this amazing program. We are so very very grateful", said Rachel. KIDS: As it is during the school year, and schools and yeshivas have now been closed down in the South by law, there is a big demand for school groups to relocate in Bet Shemesh. These groups have come by organized buses, complete with teaching staff, and are being housed in various Bet Shemesh Community Centers and Schools. They arrive each morning, and go home after school hours. More are due to come. The overwhelming feeling is that everything here is 'under control' with these kids. They are good kids, well cared for by their regular teachers and staff. The Bet Shemesh schools and community centers have done an incredible job to provide the space and facilities all these extra kids need. The kids' main needs today are therefore for catered hot food (they bring sandwiches from home, but need this supplemented for a long day), for activities/games during the breaks, and for recreational outings. Lema'an Achai is supplying these needs. FAMILIES: At this point, families are moving from the South to Bet Shemesh in a sporadic fashion. These families are being matched up with host families by the Bet Shemesh Municipality, by Lema'an Achai and by Ezrat Achim. As of today, the supply and demand is balanced (actually more willing hosts than families). Some hosts would find it helpful to have extra food - so we are looking to establish cooked food collection points for host families (we did this last time very effectively). We are also looking at setting up family-to-family hostings for shabbat/weekend - a major community wide project - if there is enough demand for this. STUFF FOR THE SOUTH: Bet Shemesh Community Centers, Ezrat Achaim & Lema'an Achai are continuing to collect useful items to deliver to the South. Toys, Books, Heaters, Blankets, are all welcome. FUTURE: Nobody knows how long this War will last, nor the nature of the imminent needs of our brothers & sisters just a few minutes drive south of us. Or even if we, ourselves, may require help; as just an extra half-litre of rocket fuel would put Bet Shemesh in range. Lema'an Achai is spearheading the Bet Shemesh War Relief Program, in alliance with the Municipality, the Community Centers, Schools, many Charities and an 'army' of amazing volunteers. We are prepared and preparing for all contingencies. Please donate today www.IsraelWar.org , and encourage your relatives, friends and communities to do the same - because we are able to keep Rachel, her classmates, and another Thousand school children, safely out of missile range, ONLY because of our generous donors. And most importantly, we ask that you also spare a moment, to pray for the successful mission, and the safe return, of all our brave soldiers. USA Tax Deductible: "US Friends of Lema'an Achai", PO Box 532, Oceanside, NY 11572-0532, USA. UK Tax Deductible: "British Friends of Lema'an Achai", c/o Nava Kestenbaum, 96 Rigby Street, Salford, Manchester, M7 4BQ, ENGLAND. Canadian Tax Deductible: "Shaarei Tefilla Charity Fund", C/O Murray Shore, 31 Marwill Street, Toronto, Ontario, M3H 3L2, CANADA. 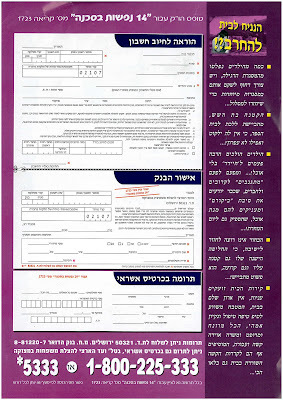 Israel Tax Deductible: "Lema'an Achai", The Lema'an Achai Center, 40/7 Nahal Lachish, Ramat Bet Shemesh, 99093, Israel. SMALL PRINT: In the happy event that the war finishes, and any funds remain, they will solely be used for helping families in need.